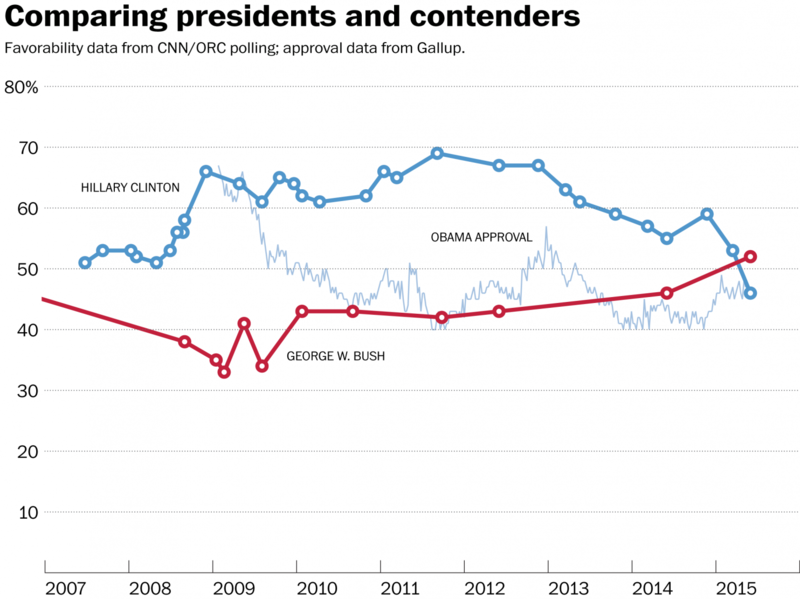 According to a recent CNN/ORC poll, former President George W. Bush has a greater favorability rating than both Barack Obama and 2016 Democrat wannabe president Hillary Clinton. GWB has a 52% favorably and 43 unfavorable … Obama has a 49% favorable and 49% unfavorable rating and a job approval of 45% approve, 52% disapprove. 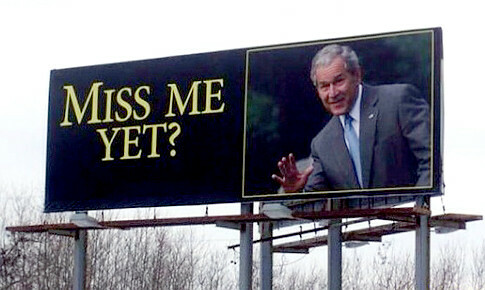 George W. Bush even polls better than the presumptive Democrat 2016 presidential nominee Hillary Clinton. The complete poll can be read HERE. President Barack Obama’s job approval numbers are sinking as American attitudes about the nation’s progress have taken a turn for the worse, according to a new CNN/ORC poll. A majority of the public once again say things in the U.S. are going pretty badly and disapproval of Obama’s job performance has climbed back above 50% as well. 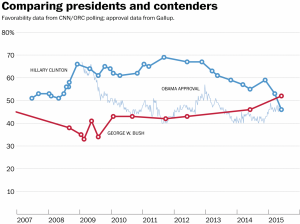 In fact, former President George W. Bush is more popular than Obama. According to the poll, 52% of adults had a favorable impression of George W. Bush, 43% unfavorable. When Bush left office in 2009, only about one-third of Americans said they had a positive opinion of him. This new poll presents a notable shift as Bush’s overall favorability has remained well below 50% for much of his time as a presidential alum. Overall, 47% say things in the country are going well, 52% that they’re going badly. That’s a reversal from March, when 53% said things were going well, the highest share to say so during Obama’s presidency. The shift comes across partisan and demographic lines, with no one group’s opinions driving the overall change. Obama’s approval rating has suffered a similar blow. While it’s dropped since April, going from a near-even 48% approve to 47% disapprove split to a negative-tilting 52% disapprove to 45% approve, the rising disapproval ratings come across party lines, from both men and women, from whites and non-whites. JUST HIS INITIAL RESPONSE JEB? Former Florida Governor and noncommittal 2016 GOP presidential candidate Jeb Bush is calling our Barack Obama saying that his initial response to Ebola was “incompetent”. Jeb Bush made this comment as he was speaking in Nashville, TN at Vanderbilt University on Tuesday. One might first say, what response? Second, one would say, just his initial response Jeb, Obama continues to act incompetently when it comes to Ebola and the risk he is putting America and Americans at. 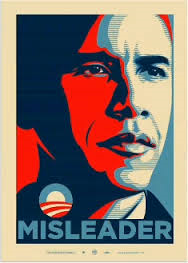 Third, isn’t it par for the course, pardon the pun, for Barack Obama to act incompetently? That has been the theme to his presidency. Why was there no policy or plan in place to deal with Ebola? Bush said the president was not “clear and concise” about his plans to combat Ebola, and described an incident in which anthrax was mailed in 2001 to a Florida-based tabloid, The National Equirer, during his time in office as an example of a better approach to addressing public fears. EXIT COMMENT: Who finds it ironic that Jeb Bush is calling Obama “incompetent” when for years it was Democrats who called Jeb’s brother, President George W. Bush stupid? 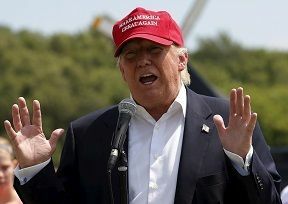 Never has America needed a president more who was a true leader and statesman who cared more about the United States of America and “We the People” than they do about themselves, their own power and their agenda. 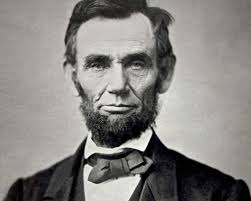 How far have we come from a first president who feared the impression that he would have the appearance of a king and had to be talked into a second term. 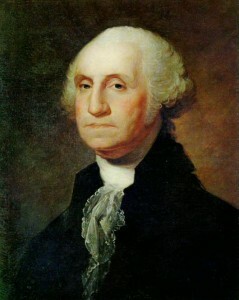 George Washington left office on his own after two terms, there was no legislation that told him to do so. Compare that to today’s power grabs by presidents and their purposeful and willful ignoring of the US Constitution. Please America, you have one more chance to get it right in 2016 and follow the path of the great presidents of our past and what America was intended to be. Also read Washington’s Farewell Address, September 17, 1796. 2. President Ronald W. Reagan – ‘Tear Down This Wall’ speech from June 12, 1987 in West Berlin, Germany at the base of the Brandenburg Gate. There are just so many great and historic moments from the Reagan years, go HERE to watch and listen to many of them from the space shuttle Challenger tragedy to his Evil Empire speech. But, in a larger sense, we can not dedicate— we can not consecrate—we can not hallow— this ground. The brave men, living and dead, who struggled here, have consecrated it, far above our poor power to add or detract. The world will little note, nor long remember what we say here, but it can never forget what they did here. It is for us the living, rather, to be dedicated here to the unfinished work which they who fought here have thus far so nobly advanced. It is rather for us to be here dedicated to the great task remaining before us— that from these honored dead we take increased devotion to that cause for which they gave the last full measure of devotion— that we here highly resolve that these dead shall not have died in vain — that this nation, under God, shall have a new birth of free- dom—and that government of the people, by the people, for the people, shall not perish from the earth. 4. President John F. Kennedy – “I am a Berliner – Ich Bin Ein Berliner” … read Text HERE. And then we have those presidents who no matter what they had and have said during their terms in office will forever be known for the following comments and speeches. One inspirational and two, not so much. President Bill Clinton - I did not have sexual relations with that woman. Could also have used, “it all depends on what is, is”.